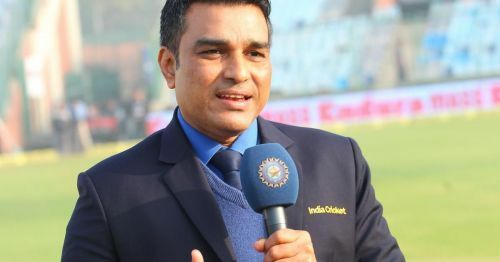 Former Indian Cricketer and commentator Sanjay Manjrekar took a cheeky dig at Ambati Rayadu's tweet that was posted after he was omitted from India's squad for the World Cup. The BCCI selectors have announced the team on Monday and there were a few surprise selections. They have dropped Ambati Rayudu and picked Shankar ahead of him. When they were asked for the reason, they stated that Shankar can be instrumental to the team in all departments of batting, bowling and fielding. After the Champions Trophy in 2017, we tried quite a few people in that position. We did give a few more chances to Rayudu. Vijay Shankar is three dimensional. We are looking at him at no. 4 to begin with. After two days, Rayudu took the Twitter to take a cheeky dig at the selection. Here is what he had tweeted. Ravichandran Ashwin was the star of the yesterday's game. He played a cameo with the bat and also took two crucial wickets with the ball. Ashwin's captaincy was also at the top-notch. This helped Kings XI Punjab to register a much-needed victory. The Punjab captain won the Man of the Match for his all-rounder performance. Twitter were in all praise for Ashwin, and Manjrekar remarked that Ashwin shone in all the three departments. This tweet seems like an indirect dig at Rayudu's response for the World Cup selection. Let's hope that everyone sees the lighter side of these reactions so that future career of players like Rayudu won't be affected. He is a very good player but needs to focus on delivering consistent performance in whatever format he is playing to get into the national side. Rayudu is currently playing for Chennai Super Kings in the IPL. He had a blockbuster season during last year. However, this year has been below par. Hence, his primary focus should be to deliver a consistent performance for Chennai Super Kings.